MELANEE SHALE: Antelope Canyon Tour - Everything you need to know to plan your trip! 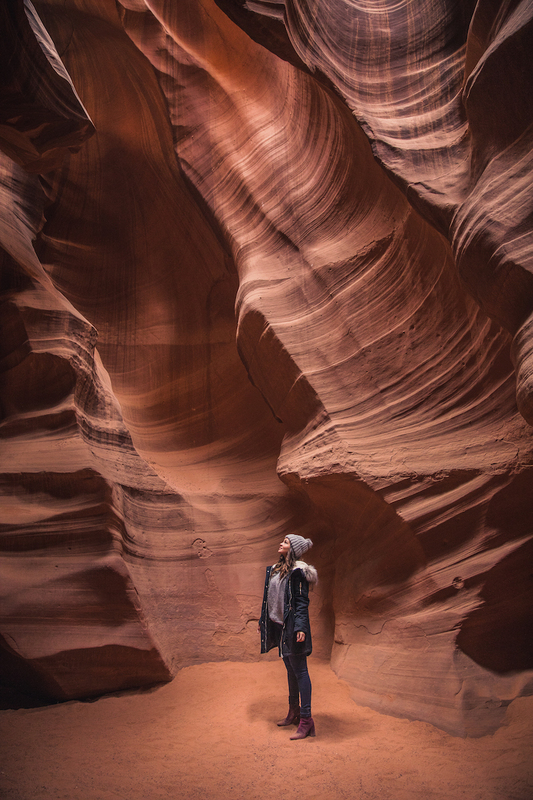 Antelope Canyon Tour - Everything you need to know to plan your trip! 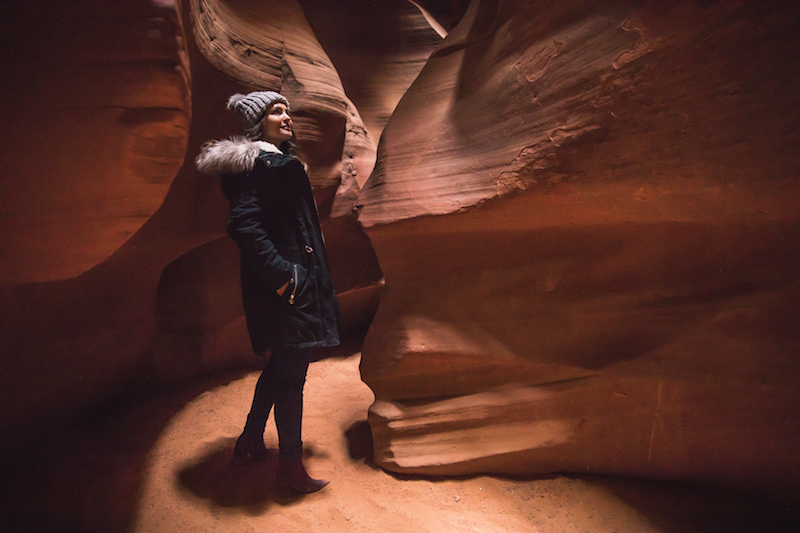 Today I'm sharing all the tips you need to plan your visit to Antelope Canyon. Both Upper and Lower Antelope Canyon (yes there are two!) are breathtaking and magical places usually paired with a visit to the The Grand Canyon and other northern Arizona/Southern Utah desert destinations. Last year, I attempted to visit the Canyons last minute while on a trip in nearby areas and failed miserably. This past December, I planned another trip and almost missed out again. Fortunately, luck was on my side and I was able to check Upper Antelope Canyon off my bucket list (yes, I'll be going back for lower at some point). Read below to see all the things I wish I had known before embarking on this journey (twice). First things first, as with all things in life, timing is everything. My first visit, and first huge mistake, was choosing to go at the beginning of July. It was 115 degrees and while in the area, my brother and I, decided last minute one morning, to drive three hours out of the way to see the Canyons and take some pictures. Looking online, we learned that the last tour was at 4:30pm, so we thought we had plenty of time. Wrong! We arrived at 1:40 only to learn that they closed the Lower Canyon tours due to extreme heat and the last tour we had just missed by 10 minutes. I begged, I bribed, and I may have even cried but it didn't matter, they sent us packing. When we were leaving we saw signs for Upper Antelope Canyon (I'll get to the differences later) and decided to try our luck there. However, since it was late in the afternoon, they were completely sold out. Fast forward to December this past year, while visiting my boyfriend's family in Arizona, I yet again decided to give the Canyons another go. However, because it was so last minute when we looked online all of the tour reservations were sold out! Luckily, digging deep (the 2nd page of google search!) I found www.tours4fun.com had two tickets for the 8:45 am tour of Upper Antelope Canyon open! A Holiday Miracle! Though to be honest, we weren't entirely sure if the tickets were legit, but suffice to say they were. Jump ahead to the morning of the tour, we woke from our hotel early because the tour information on our printed email said we needed to be there one hour before our scheduled tour time. Unfortunately, what they didn't mention is that the area where we were to check in, did not in fact open until 8:00am. So when we drove by at 7:40am (the early birds we are), it was closed with no sign, and we weren't even really sure where the location was. The address we had took us on to a dirt road that turned off the main highway and we traveled about a mile before realizing this could not be correct so we turned around. When we got back to the highway, there was a nice woman in a car that was apparently about to set up another tour check-in location, and she informed us that the location we were looking for was where we had actually passed about 8 miles back (for reference both the main entrances to Lower and Upper Antelope canyon tours are near the Power Plant). When we showed up it was now nearly 8:15am and we had to stand in line to check in for the tour and pay the Navajo land entrance fee of $8.00 CASH (make sure you have cash) which took about 15-20 minutes so technically we were barely on time, but it didn't seem to matter. We also learned an important fun fact at this juncture as there were two lines; one for people like us with reservations, and one for walk-ups! So indeed you can book a tour same day (we were there on New Year's weekend which was very busy so this bodes well if you go another less busy time of year) though you should still arrive early to get the best time slots as they go quick! Shortly thereafter we were shuttled (in an open air truck, brrrrr!) for 15 minutes to the entrance of Upper Antelope Canyon where we promptly began our tour. Side note: There are more than one tour company that offer tours, something you'll see very quickly upon a google search for Antelope Canyon Tours. These different companies coordinate with one another and stagger tour times so that the canyon is packed with people from start to finish. The guides are very nice and knowledgeable, showing you the best spots for pictures, and they'll even wait periodically and help you get a people free picture! They were even helping some tourists with their camera settings as it's very dark in the canyon (especially Upper Antelope Canyon and doubly especially in the morning). The best time of year according to the guides are April, May and early June before it gets too crowded and hot and then again starting in late September through early November. A time not to go would by July, when it's very hot, and also the area is prone to flash flooding due to the Monsoon season (which is actually how over thousands of years the canyons have been formed!) Also, you should avoid major holidays like in between Christmas and New Years which is when I went. Haha do I have good timing or what? Lower Antelope Canyon: Morning around 9am and afternoons 3-4pm. Upper Antelope Canyon: Midday tours are best. 1:30pm is the magic slot during prime months! The best time of day to go depends on which canyon you are touring. The difference between the two canyons is mainly that Upper Antelope has a much narrower opening at the top than Lower Antelope. This means that the light overall is brighter and better in Lower Antelope in the mornings and afternoons all year round, where you will find rich colors and textures in the sand walls. During the right time of year for Upper Antelope (May, June, Sept, Oct), however, when the sun is more directly overhead in the middle of the day (1:30 pm tour) will yield amazing shafts of of light! If you happen to be there in the winter, like us, don't worry, it's still beautiful it's just darker and apparently the 11:30 or 12:30 tour times are best for light. As you will find online, there are many tour companies offering tours of the Canyons. 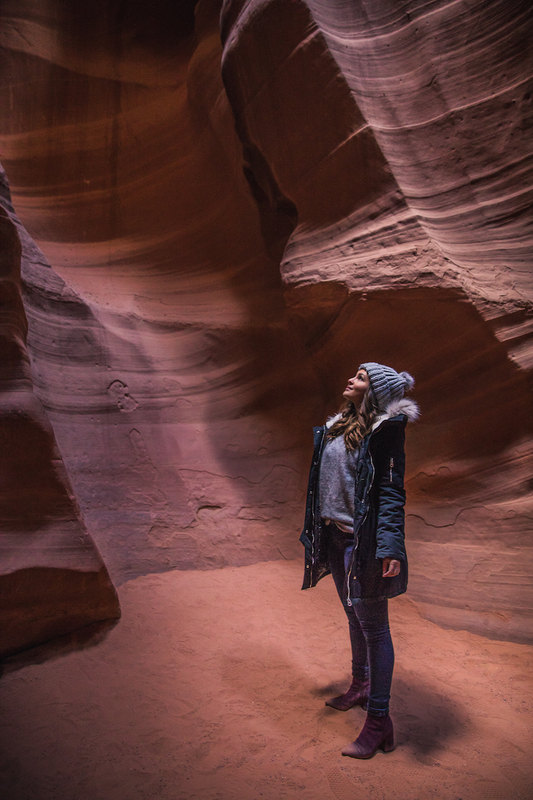 We learned that Upper Antelope canyon (probably because of ease of access) is much more popular, therefore about 5 companies offer tours. Many of those companies actually just sell you tickets to the Navajo Guides tour company that you could book directly online or as a walk-up. Lower Antelope Canyon, however, there are only two companies offering tours, so they book up quicker. As far as we could tell, all the tours are the same, except for the departure location (some leave from the town of Page and it's an extra 10 minute drive, while others start at the lean-to off the highway). The pickup or meeting location and other information will be available to you through whichever tour company you choose. The town of Page is a small town right off of Lake Powell and is only a 10 minute drive to the turnoffs for the Canyon tours. There are a few hotels and motels, nothing super fancy, to choose from. We stayed at the Days Inn which was perfectly priced and well maintained. You could also find many affordable AirBnB locations (we did not book far enough in advance to utilize this). Book your tour as far in advance as you can. Bloggers don't book the Photographer's tour because they will not let you pose. It's strictly for photographers wishing to take photos of the canyon without any people. 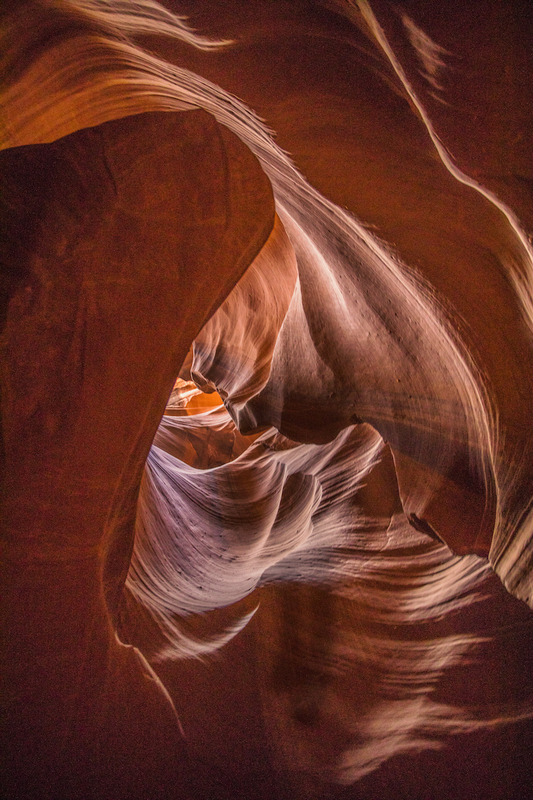 I hope this post helps you to be more informed for your trip to the beautiful Antelope Canyons and Northern Arizona. Comment below if you have any tips you'd like to share, or further questions!